Hazel may seem very small, but she is very powerful. She is full of courage, so hold her close and she will inspire strength within and the courage to follow your heart. 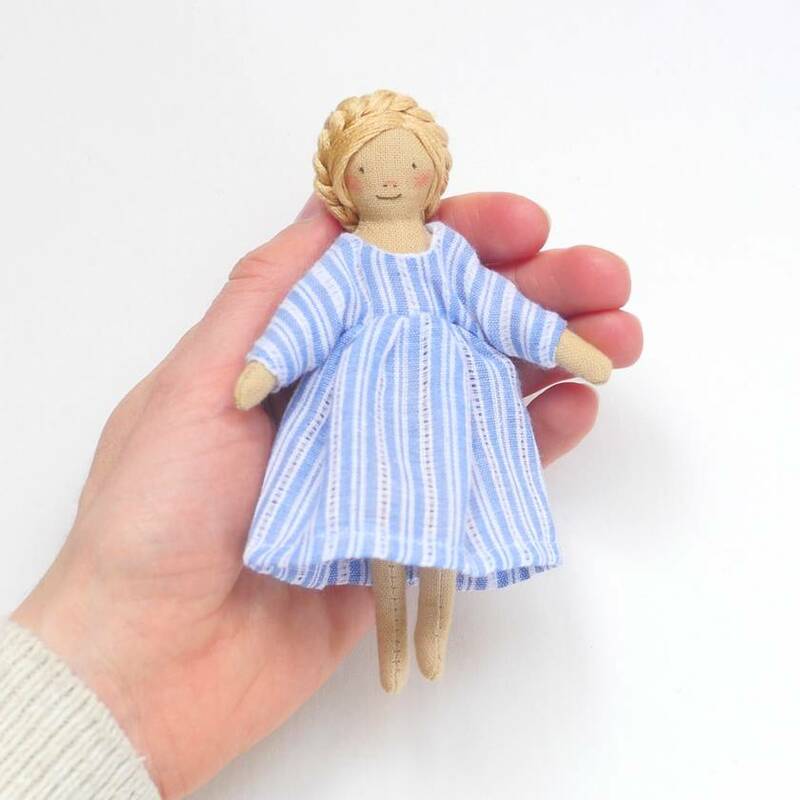 Courage Dolls are made from all-natural materials, sewn on a foot-treadle Singer sewing machine and stuffed with New Zealand wool. Inside Hazel's heart is a tiny message, 'I am a vessel of Love'. Hazel comes in a beautiful box full of treasures including a tiny vintage suitcase with her bedding and journal. 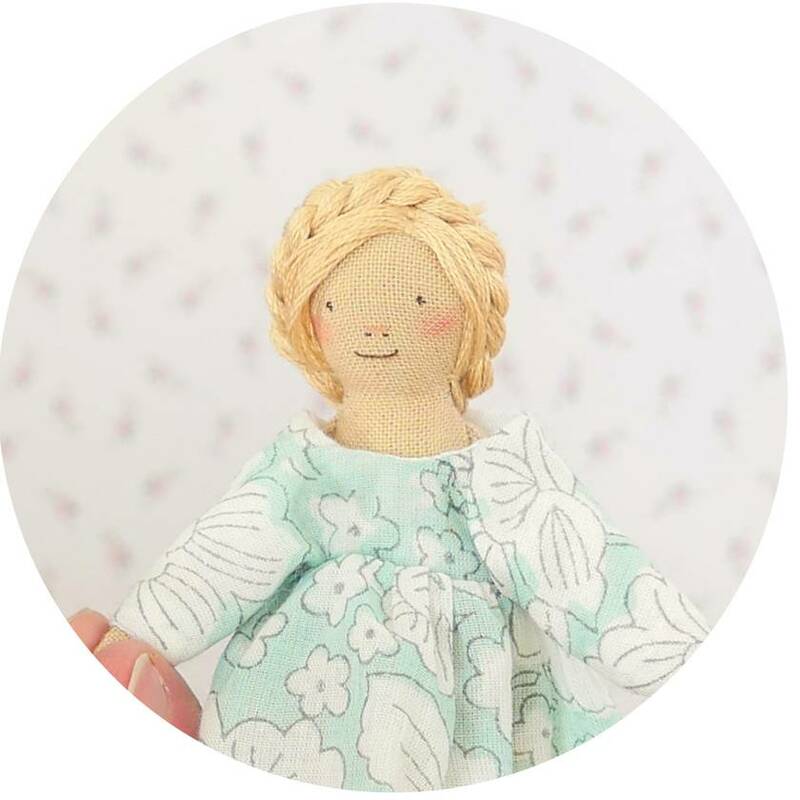 She is approximately 12cm in height and has removable clothing. Please specify below if you would like a Blue Stripe linen-cotton dress or White linen-cotton dress. Add extra outfits for your Hazel by selecting them in the shop. Proudly and lovingly made by hand in New Zealand. Hazel ships within 1-3 working days. Contact couragedolls to enquire about payment or shipping options.